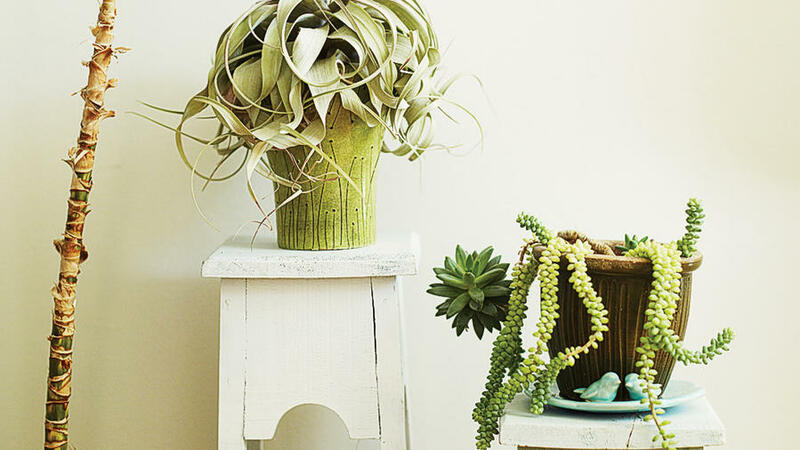 Forget old-school spider plants. 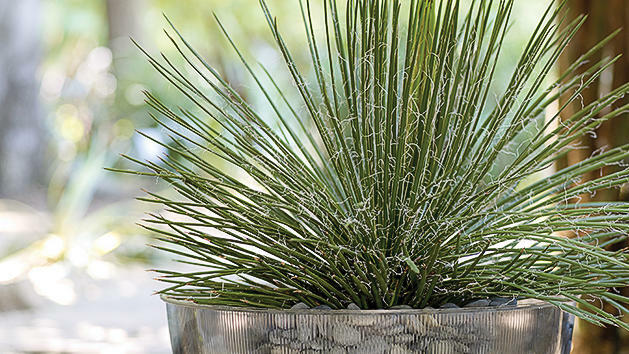 A new wave of unusual and dramatic indoor plants are as much decor as they are greenery. Although some can be pricey—ringing up at $100-plus—they can complete a room just as well as the perfect rug or piece of art. “Indoor plants add life and personality to an otherwise generic space,” says Caitlin Kreutz, horticulturist at San Francisco Foliage wholesale nursery. They’re an investment with great returns too: With the right care, many of these plants will live a decade or more. Foliage: Leaves are curvaceous, always dressed in skintight patterning. Plant: This bromeliad reaches 3 feet tall and wide. Lives for 8 to 10 years before it blooms, then dies. Foliage: Ruffled, slightly coarse leaves on slim trunks—the most interesting texture of any houseplant we’ve seen. Plant: A tender shrub from the tropics, it grows slowly to 12 feet. Water when soil has dried 2 to 3 inches below the surface. Foliage: Lush 2-foot-long leaves of deep green are dramatic all year; luxuriant white flowers in spring. 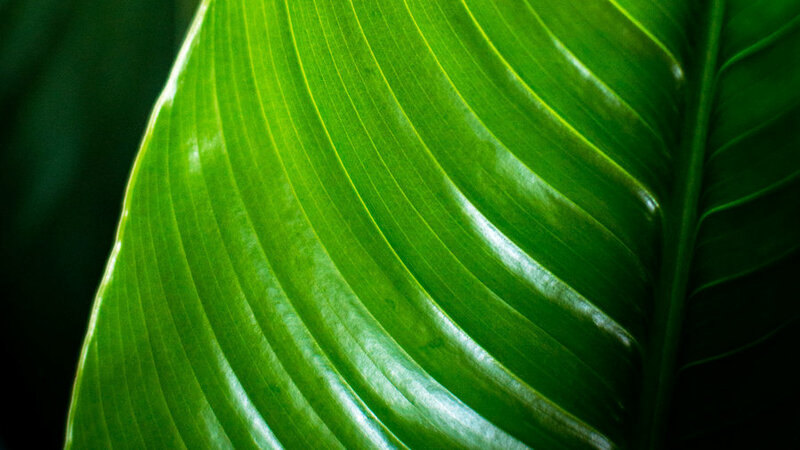 Plant: A peace lily, it can reach 4 feet tall. Foliage: Large, leathery, nearly violin-shaped leaves. Plant: This stately plant can reach 20 feet tall. To maintain its size and shape, prune branches in early spring. Feed the plant after pruning; rotate it every few weeks to keep it from leaning. Foliage: Blackish green leaves are thin when young. Plant: Eventually reaches 8 to 10 feet tall and 2 to 3 feet wide. Tolerates drafts. Foliage: Variegated leaves form compact rosettes that resemble starbursts. Plant: Shapely and slender as a palm, it grows slowly to 8 feet tall with sturdy, upright canes. Foliage: Silvery green leaves are stiff, slightly twisted, and lightly mottled. Plant: A standout among snake plants, it reaches 4 to 5 feet tall and thrives on neglect. Foliage: Big leaves are simply spectacular. Plant: Indoors, it reaches 10 feet tall. Leaves turn brown or drop if this finicky plant doesn’t get what it wants—no drafts, no wet leaves. Foliage: Triangle-shaped leaves nearly cover the stems. Plant: Willowy stems can reach 10 feet tall and 2 feet wide, and need staking to stay upright. Prune to control size or let the branches grow for a weeping look. Light: Moderate to bright, indirect. 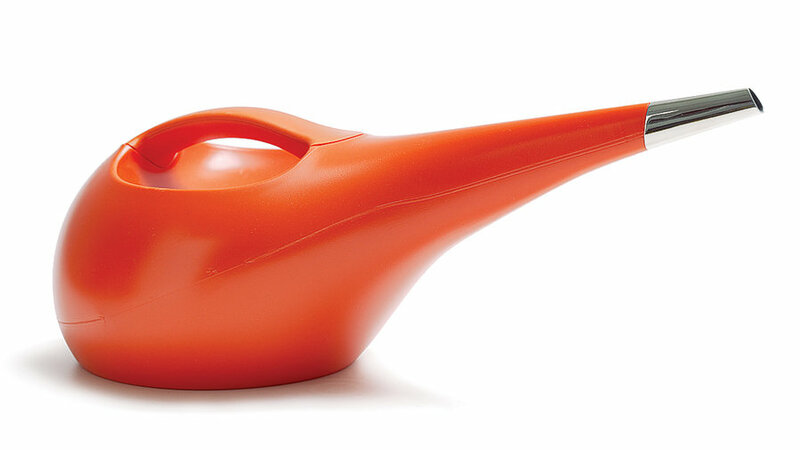 Most houseplants need irrigating when the top 20 percent of their soil is dry to touch. Give them enough water so that it drains out of the pot, but don’t let the plants sit in saucers filled with standing water. You may need to water more often during warm months or when your indoor heater is on in winter. 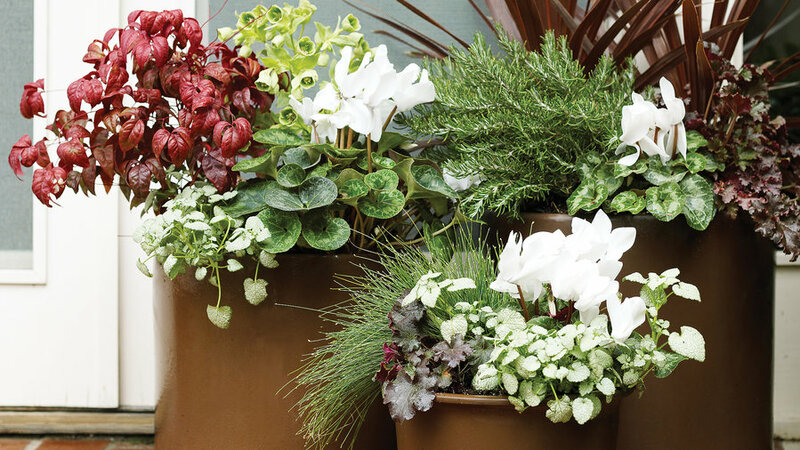 Plants in small containers dry out faster than those in larger ones. Spathiphyllum prefers moist soil, and Schefflera elegantissima needs consistent watering or it can lose leaves. Irrigate bromeliads by pouring water into their center cups. 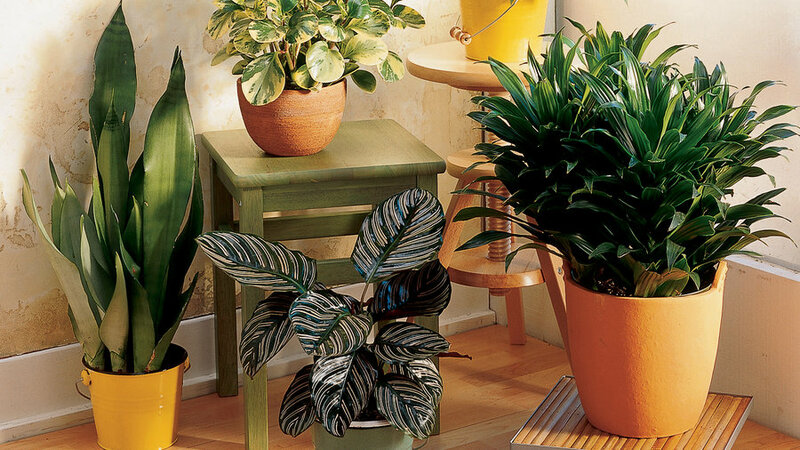 Feed growing plants with a slow-release houseplant fertilizer according to label directions. When the plant begins to outgrow its pot (about every year or two), move it into a slightly larger container (about 2 inches wider). If you’d rather keep it in the same pot, prune the roots using this technique: Knock the plant out of its pot. Then, using a sharp knife, shave roughly an inch off the outsides of the rootball; don’t remove more than 20 percent of it. Refill the gap between the shaved rootball and the pot sides with fresh potting soil. Healthy plants that get proper care are generally pest-free. Fungus gnats can appear atop soil that’s overwatered. Mealybugs, mites, and scale feed on leaves and sometimes stems. Check plants regularly so any pests don’t get out of hand; control small infestations by dabbing insects with rubbing alcohol or washing them off with soapy water. If unsuccessful, follow up with an organic pesticide, such as Houseplant Insect Killing Soap or Houseplant Insect Killer from Safer (saferbrand.com). Spray plants outdoors or in a well-ventilated area inside. 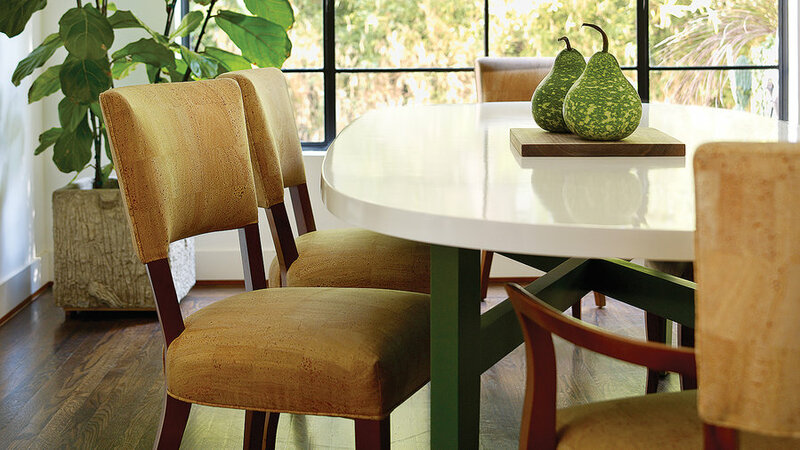 Choose plants right for the light levels in your space. Low light is what you get in unlit corners and rooms that lack direct sun. Moderate light is filtered through sheer drapes or reflected off interior surfaces. Bright light is sun that passes through a window or skylight. Avoid direct sun-light; it can scorch leaves. If you notice that your plant is leaning toward its light source and becoming lopsided, rotate the pot every month or so. Periodically dust off leaves with a damp cloth, or rinse smaller plants in the shower with lukewarm water. If the weather’s warm, you can move plants outdoors temporarily to gently hose off the foliage. Dry the leaves after rinsing, then bring the plant back indoors.